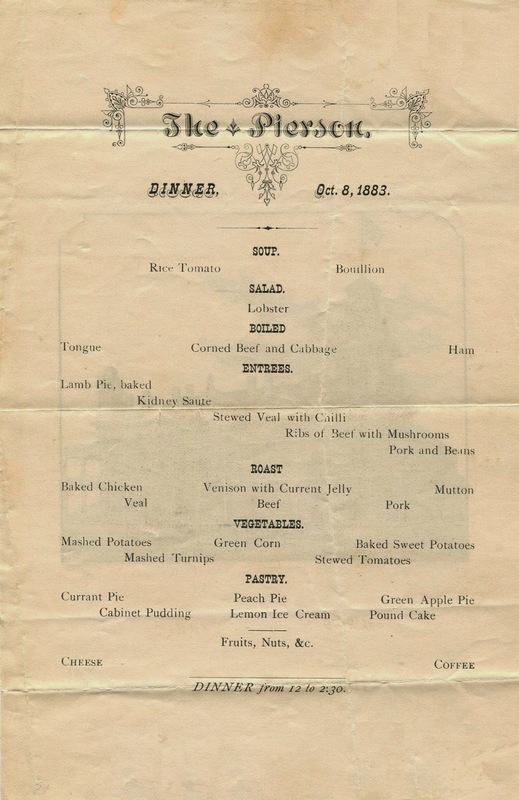 When the Society of Colorado Pioneers gathered for its first reunion in 1881 at the Windsor Hotel in Denver, the menu featured “grub.” Even so, the venue was first-class. 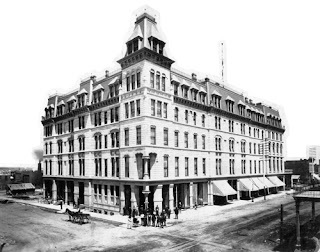 Amidst its labyrinth of public rooms, the new 300-room Windsor boasted a Western Union office, a barber shop, and a tobacconist, along with several bars and restaurants. It was the largest and most luxurious hotel between the Palmer House in Chicago and The Palace in San Francisco. The Café Au Bon Goût on the corner of Fifth Avenue and 30th Street features an enormous buffet that is open 24/7. If you step inside and look straight up, you will see the beautifully molded ceiling that once graced the dining room of the Holland House, one of grandest hotels in New York during the 1890s. 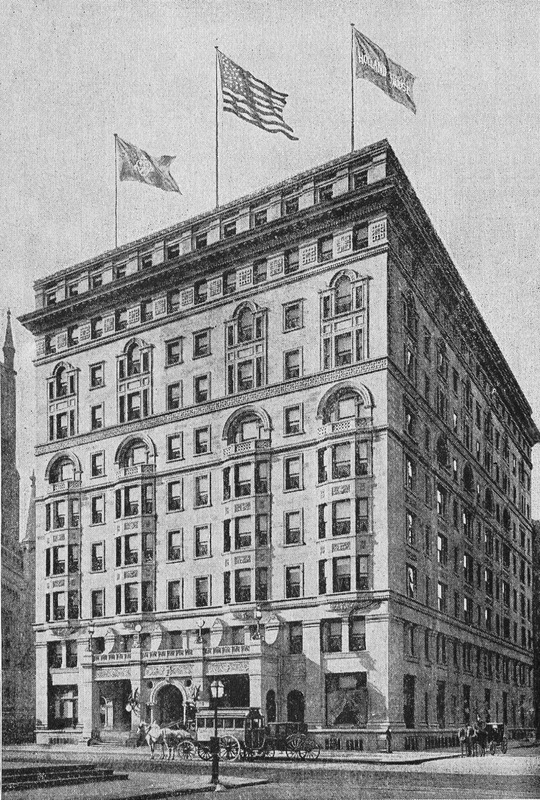 Modeled after a celebrated mansion in London, the ten-story building (which now contains offices) was built in the Italian Renaissance style, using white limestone from Indiana. Seven photographs and a menu tell its story. Church suppers were commonplace occurrences during the nineteenth century, both as social gatherings and a way for women's groups to raise money. Around 1886, church groups across the country began to use corn as a theme for their suppers. The short-lived fad seemingly came out of nowhere—it was not confined to the Corn Belt in the Midwest nor related to the harvest season. Shortly after moving to El Paso, Texas in October 1883, J. T. Stevens sent a letter, along with this hotel menu, to his parents in Connecticut, letting them know that he had arrived safety. “I will enclose a bill of fare which I had the first day,” wrote the young store clerk, “that you may see that I am not entirely out of this world if I have got nearly to the jumping off place.” Enclosing a menu was then a way of letting someone know that you were doing O.K. in your new surroundings.